The Bush Rope Guide is a fantastic device that ensures the winch rope spools onto the Bush Winch even when pulling from anchor points on the side or when steering. Light weight and very strong, the Rope Guides attache simply and quickly to the same wheel nuts used by the Bush Winch. 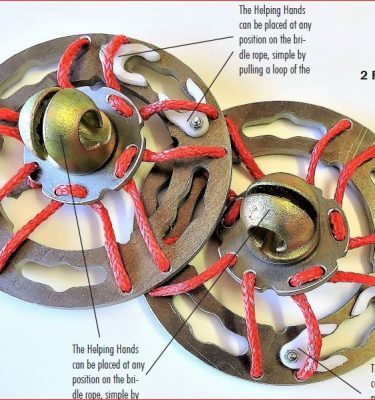 Placed either on the fort wheels, or the back wheels (if you are winching in reverse), the Rope Guides will spool the rope onto the winch whether going forward, backwards, around corners, and in side-slip situations.